The Iroquois County Emergency Management Agency (EMA) will be hosting an annual Weather Spotter Seminar at the Crescent City Community Center at 6 PM on 11th March. 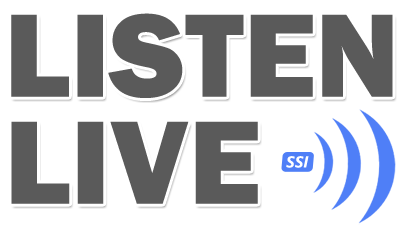 The main presentation will be from the National Weather Service on how to spot severe weather, such as tornadoes. The Iroquois County Sheriffs Department is issuing a warning to residents in reference to reported phone scams occurring jn the county. The scam targets older victims on land lines and cell phones. Recently residents have reported that they have received phone calls from subjects claiming to be a relative, usually a grandchild, who has either been involved in an accident or arrested, The victim is asked not to tell any other family members about their involvement or trouble. The caller, who may identify themselves as a police officer or government employee, requests that the victim wire money via western union, money gram or purchase I tunes cards from CVS, Wal Mart Etc. The caller also requests that the victim call the caller back once the wire transfer is complete or to provide the information from the back of the I tunes cards. Residents are urged not to send money via western union or purchase the I tunes or moneypac cards in these instances. Once the money has been sent by the victim, it is highly unlikely that law enforcement will be able to recover it. Residents are urged to contact family members or the police if they have any questions about suspicious cat!ers. Watseka Police responded to a report of found articles in the 300 block of W Walnut at 8:24 A.M. on 02-25-19. Watseka Police responded to a report of fraud in the 400 block of E Walnut at 3:26 P.M. on 02-25-19. Watseka Police responded to a domestic in the 100 block of S Fourth at 7:46 P.M. on 02-25-19. Watseka Police responded to a report of illegal burning in the 400 block of Cips St at 8:54 P.M. on 02-25-19. Watseka Police responded to a public service call in the 200 block of E Fairman at 9:05 P.M. on 02-25-19. Watseka Police responded to a public service call in the 100 block of Birch Ct at 10:05 P.M. on 02-25-19. Watseka Police responded to a report of phone harassment in the 500 block of W North at 12:58 A.M. on 02-26-19. Watseka Police concluded a short investigation at 12:52 P.M. on 02-2619 that led to the arrest of two Watseka residents. According to Police reports, Police responded to a report of a residential burglary report in the 600 block of N Market on 02-19-19 in which a television was stolen. Police then conducted an investigation into the matter and it led Police to arrest Jeffrey M Reed Jr, 24 Watseka and Elayna C Alexander, 19 Watseka. Reed and Alexander were both charged with residential burglary and theft under $500. Reed and Alexander were transported to the Iroquois County jail. Watseka Police responded to a report of a domestic in the 100 block of Creekside Ct at 2:10 P.M. on 02-26-19. Watseka Police responded to an ordinance violation in the 100 block of S Eighth at 3:27 P.M. on 02-26-19. Watseka Police responded to a vehicle fire in the 500 block of N Second at 3:36 P.M. on 02-26-19. Watseka Police responded to a report of an activated alarm in the 700 block of W Walnut at 6:06 P.M. on 02-26-19. Watseka Police responded to an activated alarm in the 1400 block of E Walnut at 7:46 A.M. on 02-27-19. Watseka Police responded to a report of found articles in the 100 block of E Oak at 11:12 A.M. on 02-27-19. Watseka Police responded to a city ordinance violation in the 500 block of E Ash at 3:05 P.M. on 02-27-19. Watseka Police responded to a public service call in the 500 block of N Third at 4:26 P.M. on 02-27-19. Watseka Police responded to a 911 open line in the 800 block of S Third at 4:58 P.M. on 02-27-19. 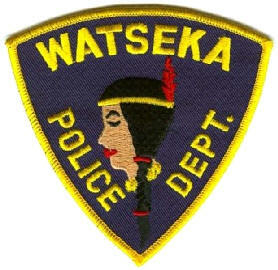 Watseka Police responded to a report of harassment in the 100 block of E Hickory at 5:25 P.M. on 02-27-19. Watseka Police responded to a report of a suspicious vehicle in the 1400 block of W Lafayette at 5:26 P.M. on 02-27-19. Watseka Police responded to a report of fraud in the 200 block of N Eighth at 5:41 P.M. on 02-27-19.
? Do you have an emergency plan? If so, when was it last updated? ? Does your emergency plan include an evacuation strategy? What about sheltering in place? ? Does your facility have any safety equipment? If so, when was the last time it was checked? ? Besides cell phones and landlines, what communications does your business have? ? Does your plan address cyber security? When businesses are prepared for disasters, communities are able to recover more quickly. Not only do local businesses offer essential services to the impacted community, but they also keep people working and keep the economy moving. 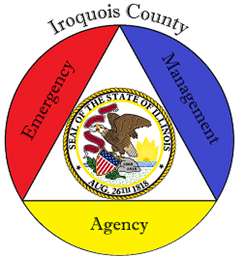 Iroquois County EMA would like to offer local businesses in Iroquois County a review of their emergency plans. After reviewing the plan, EMA will provide suggestions for improvement and a certificate of recognition for striving to be a prepared business. This certificate can be proudly displayed for customers to see, showing the businesses dedication to its employees and clientele. Preparedness starts locally, and a prepared business community is the best resource for community in recovery. Visit ready.gov/business for free planning tools, and contact Iroquois County EMA at ema@co.iroquois.il.us or (815) 432-6997 to have your business emergency plan reviewed. Watseka Police responded to a report of a slide off in the 200 block of Brianna Drive at 6:04 A.M. on 02-19-19. Watseka Police responded to a report of suspicious circumstances in the 200 block of E Fairman at 7:22 A.M. on 02-19-19. Watseka Police responded to a report of a disabled vehicle in the 600 block of N Second at 8:33 A.M. on 02-19-19. Watseka Police responded to an animal complaint in the 300 block of N Second at 9:26 A.M. on 02-19-19. Watseka Police responded to a report of damage to a vehicle in the 1700 block of E Walnut at 3:32 P.M. on 02-19-19. Watseka Police responded to a report of a counterfeit bill in the 100 block of E Walnut at 3:50 P.M. on 02-19-19. Watseka Police responded to a domestic in the 300 block of W Victory at 4:24 P.M. on 02-19-19. Watseka Police responded to a report of a suspicious person in the 200 block of W Mulberry at 6:30 P.M. on 02-19-19. Watseka Police arrested Nykeyda S Porter, 36 Mount Vernon in the 200 block of E Lincoln at 8:32 P.M. on 02-19-19. Porter was charged with Possession of a stolen vehicle after Police found Porter to have been operating a vehicle that was reported stolen out of Hamilton County. Porter was transported to the Iroquois county jail. Watseka Police responded to a domestic in the 100 block of W Oak at 8:33 P.M. on 02-19-19. On February 18th , 2019, Iroquois County Sheriffs Police investigated a single vehicle accident at the intersection of Co. Rd. 600 E, and west 2nd St in Gilman. According to police reports, a vehicle driven by Josefina Santoyo, age 51, of Onarga, was traveling west on west 2nd St. when he was unable to stop at the intersection of 600 E. due to the ice covered roadway. Santoyo proceeded through the intersection and into the west ditch, Santoyo was cited for no valid driver's license. No injuries were reported. 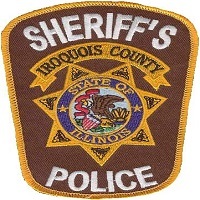 On February 17th, 2019, Iroquois County Sheriffs Police investigated a single vehicle accident on Co.
Rd- 2500 E. near 1900 N. According to police reports, a vehicle driven by Bayly R, Mabis, age 18, of Donovan, was traveling north on 2500 E. Mabis lost control of his vehicle on the snow and ice covered roadway and struck a guardrail causing over $1500 in damage. No injuries were reported, and no citations were issued. On February 17th, 2019, Iroquois County Sheriffs Police investigated a single vehicle accident on Co. Rd. 2800 N. near Co. Rd. 700 E. According to police reports, a vehicle driven by Jacob J. Pluth, age 19, of Shorewood IL, was traveling north on 700 E. when he lost control on the snow and ice covered roadway. Pluth's vehicle left the roadway and struck a road sign before striking a pile of dirt in the ditch, No injuries were reported, and no citations were issued. On February 20th, 2019, Iroquois County Sheriffs Police arrested James E. Koch, age 51 , of Sheldon. According to police reports, Koch was charged with burglary to a motor vehicle, theft over $500, and criminat trespass to a motor vehicle. He was transported to the Iroquois County Jail where he remains in lieu of bond. According to police reports, Rodriguez was wanted on an outstanding Iroquois County warrant charging him with 2 counts of aggravated criminal sexual abuse. He was transported to the Iroquois County Jai! where he posted the required bond and was released. On February 20th, 2019, Gilman Police arrested Terry L. Blair, age 24, of Gilman. According to police reports, Blair was wanted on an outstanding Livingston County warrant charging him with failure to appear for criminal damage to property, and criminal trespass to property. He was transported to the Iroquois County Jail where he awaits extradition back to Livingston County. On February 10th, 2019, Iroquois County Sheriffs Police investigated a single vehicle accident on Co.
Rd, 1400 N. just east of Co, Rd. 2150 F. According to police reports, a vehicle driven by Nancy L. Hamm, age 47, of Arnold, Missouri was traveling west on 1400 N. when she lost control on the snow and ice covered roadway. Flamm's vehicle entered the south ditch and struck the embankment. Flamm reported no injuries, and no citations were issued. On February 12th , 2019, Iroquois County Sheriff's Police investigated a single vehicle accident at the intersection of Co. Rd. 2700 E. and 2600 N. According to police reports, a tractor-trailer driven by Courtney M. Goins, age 30, of Batesville, Mississippi was traveling north on 2700 E. When Goins began to apply the brakes as he approached the intersection, his trailer drifted into the west ditch causing the tractor-trailer to overturn. Goins reported no injuries, and no citations were issued. On February 12th, 2019, Iroquois County Sheriff's Police investigated a single vehicle accident on Co.
Rd. 2800 E. near 1750 N. According to police reports, a tractor-trailer driven by Etienne J. Frantzy, age 30, of Lauderdale Lakes, Florida was traveling south on 2800 E. when he lost control on the snow and ice covered roadway. Frantzy's tractor-trailer jackknifed in the roadway before coming to a stop. Frantzy reported no injuries, and no citations were issued. On February 10th, 2019, Iroquois County Sheriff's Potice arrested Lacy A. Freehilli age 34, of Watseka. According to police reports, Freehitl was charged with residential burglary and theft. She was transported to the Iroquois County Jail where she posted the required bond and was released. On February 10th, 2019, Iroquois County Sheriffs Police arrested Matthew E. Conley, age 37, of Watseka. According to police reports, Conley was charged with residential burglary and theft, He was transported to the Iroquois County Jail where he remains in lieu of bond. On February 10th, 2019, Iroquois County Sheriffs Police with the assistance of Sheldon Police arrested John P. Clevenger, age 42, of Sheldon. According to police reports, Clevenger was charged with driving while license revoked. In addition, he was found to be wanted on an outstanding Kankakee County warrant He was transported to the Iroquois County Jail where he remains in lieu of bond. On February 16th, 2019, Sheldon Police arrested Demario R. Crawford, age 20, of Sheldon, According to police reports, Crawford was wanted on an outstanding Kankakee County warrant for possession of a stolen vehicle. Crawford was transported to the Iroquois County Jail where he remains in lieu of bond. On February 1st, 2019, Iroquois County Sheriffs Police arrested Phillip C, Franklin, age 31, of Sheldon. According to police reports, Franklin was charged with resisting a peace officer and interfering with the reporting of domestic violence. He was transported to the Iroquois County Jail where he posted the required bond and was released. On February 2nd , 2019, Sheldon Police arrested David R. Fredericks, age 31, of Chatsworth. According to police reports Fredericks was wanted on an outstanding Livingston County warrant. He was transported to the Iroquois where he posted the required bond and was released. On February 3rd , 2019, Iroquois County Sheriff's Police arrested Zachary D, Walling, age 28, cf Salem, Oregon, According to police reports, Walling was charged with criminal trespass to real property. He was transported to the Iroquois County Jail where he posted the required bond and was released. On February 5th , 2019, Iroquois County Sheriff's Police arrested Eric J. Holt, age 31. According to police reports, Holt was chargéd with possession of a stolen motor vehicle, driving while license revoked, aggravated fleeing and eluding, speeding, and disobeying a stop sign. He was also found to be wanted on two outstanding Iroquois County warrants charging him with possession of methamphetamine, and theft. He was transported to the Iroquois County Jail where he remains in lieu of bond. On February 5th, 2019, Iroquois County Sheriff's Police investigated a car vs deer accident on Co. Rd, 1200 N. near the intersection of 2120 E. According to police repotts, a vehicle driven by Erika N.
Sterrenberg, age 32, of Watseka, was traveling on Co. Rd. 1200 N. when a deer entered the roadway. Sterrenberg was unable to avoid the deer and struck it with the front of the vehicle causing over $1500 in damage. No injuries were reported, and no citations were issued. 1400 N. near Co. Rd, 2000 E. According to police reports, a vehicle driven by Mickey D. Loniello, age 42, of Woodland was traveling east on Co. Rd. 1400 N. when he drifted to the south shoulder of the roadway due to an unknown westbound vehicle driving very close to the center tine. Loniello overcorrected and lost control on the snow and slush covered roadway and entered the north ditch and struck a utility pole. No injuries were reported and no citations were issued. 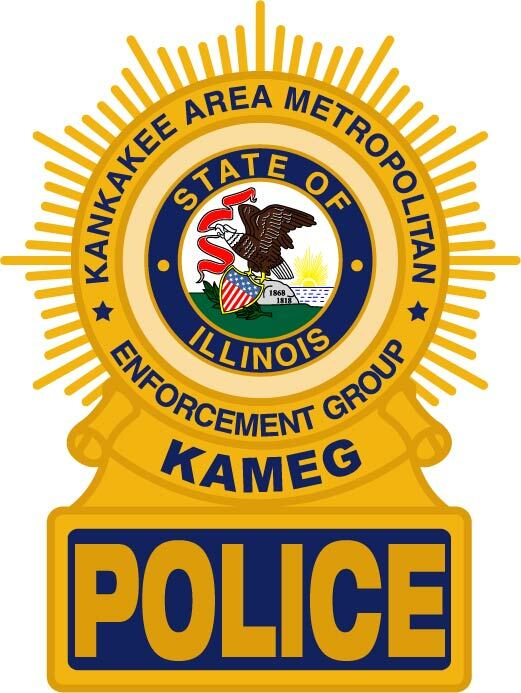 On January 28th, 2019, Iroquois County Sheriffs Police returned from the Kankakee County Jail with James E. Schoeberl, age 32, of St. Anne. According to police reports, Schoeberl was wanted on an outstanding Iroquois County warrant charging him with residential burglary, theft, armed habitual criminal, unlawful possession of a weapon by a felon, and aggravated possession of 2-5 stolen firearms. He was transported to the Iroquois County Jail where he remains in lieu of bond. On January 29th, 2019, Iroquois County Sheriffs Police arrested Kyle E. Warner, age 27, of Crescent City. According to police reports, Warner was wanted on an outstanding Iroquois County warrant charging him with writ of body. He was aware of his active warrant and turned himself into the Iroquois County Jail where he posted the required bond and was released. On January 30th, 2019, Iroquois County Sheriffs Police returned from Ford County with Therese M.
Matthews, age 36, of Chicago. According to Police reports, Matthews was wanted on an outstanding Iroquois County warrant charging her with bad checks. She was transported to the Iroquois County Jail where she remains in lieu of bond.